On an August evening in 1976, several hundred gang members descended on a concert in Detroit's Cobo Hall and rampaged through the crowd. The Detroit Police Department, whose ranks had been cut by 20% or nearly 1,000 officers by Mayor Coleman Young, took more than an hour to respond to the mini-riot while teens snatched purses and attacked concertgoers. The melee made headlines and provided stark evidence that in the nine years since the city's 1967 riots, which lasted five days and claimed 43 lives, Detroit's decline had continued. Today, Detroit sits in bankruptcy court as the largest municipal Chapter 9 case in American history. Much of the commentary about the city's decline has focused on global economic forces that displaced auto manufacturing jobs and public unions whose demands emptied the till as Detroit foundered. The truth is that Detroit was a failed city long before it became insolvent, thanks to a virtual collapse of its municipal government during Young's 1974-1994 reign as mayor. A radical trade unionist who ran as an antiestablishment candidate reaching out to disenfranchised black voters, Young lacked a plan except to go to war with the city's major institutions and demand that the federal government save it with subsidies. Critics called it "tin-cup urbanism." As the city's government became increasingly less effective, whites and then middle-class blacks fled. "He left the city a fiscal and social wreck," the eminent political scientist James Q. Wilson wrote in a 1998 article in The New Republic, "The Closing of the American City." Young was right that Detroit needed reform to deal with problems sparked by the migration of poor Southern blacks into the city in the 1950s. He and others, white and black, criticized the political power structure in Detroit, and especially its police department, as racially insensitive. The 1967 riots, sparked by a police raid on an after-hours club in a black neighborhood, generated legitimate calls for change. Elected ostensibly as a reform mayor in 1973, however, Young made things worse. He divided the police department along racial lines, creating separate layoff lists of white and black officers. He and his handpicked police chief, William Hart, made clear that policing that resulted in too many arrests or citations in the black community would not be tolerated. "I wouldn't write tickets for black kids," one black officer told journalist Tamar Jacoby in her 1998 book "Someone Else's House: America's Unfinished Struggle for Integration." When residents complained about a lack of law enforcement, Chief Hart called the protests "racism and sour grapes." Mayor Young declared that "law and order was code for 'Keep the n-----s in their place.'" Detroit became one of America's most violent cities. Young's divisive brand of governing extended to economic policy, such as it was. When General Motors agreed to build a new plant in the 1980s to help the city's revival, Young and GM targeted the still vibrant, largely white ethnic neighborhood of Poletown to locate the facility. In one of the nation's most infamous cases of eminent domain, the city sued in 1981 to raze some 1,500 homes and 144 businesses and displace 3,500 people. As some Poletown residents hung on, hoping that court challenges would overturn the takings, Young withdrew services. Residents lived among demolition crews by day and looters by night. Documentary filmmaker George Corsetti described the chaotic last days of Poletown in a 2004 article in CounterPunch: "The night air was always smoke-filled and people slept with guns nearby." Young benefitted politically from his very ineffectiveness. As the economists Edward Glaeser and Andrei Shleifer write in their study of urban ethnic politics, "The Curley Effect" (named after Boston's early 20th-century mayor James Michael Curley), as whites fled Detroit, Young's margin of electoral victory grew because his electoral base of poor blacks became a larger share of the city's population. Meanwhile, the increasingly distressed city became a fiscal ward of the state and federal governments. As Ms. Jacoby wrote, by the late 1970s federal grants paid the salaries of up to one-third of Detroit's workforce. Young's legacy haunted Detroit long after he retired (he died in 1997). 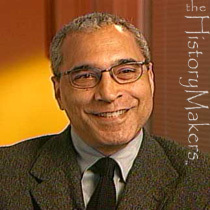 He opposed the election of his successor, well-regarded black State Supreme Court Justice Dennis Archer, who won in 1993 without a majority of the black vote. Young allies blocked Mr. Archer's agenda, including efforts to reduce patronage in city government, and they even tried to recall him. Mr. Archer was followed by Kwame Kilpatrick, dubbed by admirers the "hip-hop mayor," a supposedly authentic black voice in the mold of Young. Elected in 2001, Kilpatrick served until he was indicted for obstruction of justice and resigned under pressure in 2008. This year he was convicted on 24 federal counts committed during his mayoralty, including mail fraud and racketeering. When former NBA star David Bing succeeded Kilpatrick in 2009, he called the city "near bankrupt financially, ethically, and operationally." While Young was not directly responsible for the public-pension obligations that led to the city's bankruptcy, his poor governance and hostility toward the middle class drove the tax base away. Today, Detroit is an estimated $18 billion in debt including a $3.5 billion pension shortfall. Its population has shrunk to under 700,000 from 1.84 million in 1950. Unemployment is at 16.3 %, and the number of jobs in Detroit has declined by more than half since Young became mayor in 1974. The city's auto manufacturing base has shrunk despite the bailouts of GM and Chrysler, as those jobs moved to the likes of Kentucky and Alabama. Today, too, Young's brand of urban revival, which viewed cities as victims that require federal aid, is no longer in favor. Few expect new urban spending from a financially troubled federal government. Texas Sen. John Cornyn recently introduced legislation that would bar the feds from bailing out Detroit or any other municipality. In the early 1990s a new brand of reform mayor—Milwaukee's John Norquist chief among them—emerged and argued that cities were the center of American dynamism and innovation. New York's Rudy Giuliani argued that effective municipal government was essential to urban revival, and he took to quoting the ancient Athenian Oath of Fealty, in which citizens and leaders pledged to "Transmit this city not only not less, but far greater and more beautiful than it was transmitted to us." That's not something Coleman Young could ever claim to have accomplished. Mr. Malanga is a senior fellow at the Manhattan Institute. A federal bailout would only reinforce the city's corrupt political culture. The AFL-CIO and its friends are mourning Detroit as a victim of capitalism, claiming the government has a moral obligation to rescue the bankrupt city. This is a nice political fable, but the hard truth is that Motown is a victim of its own political vices and a bailout would merely forestall the necessary rehab. One myth is that Detroit is a victim of the U.S. auto industry. But the city's breakdown preceded the decline of GM, GM -1.11% Ford and Chrysler and has continued despite their resurgence. American car makers have been doing better for three years, but Detroit is getting little benefit because the industry long ago left the city. Michigan's jobless rate has fallen to 8.7% from 14.2% in August 2009, and the rate is now 6.2% in suburban Dearborn (Ford headquarters), but still 16.3% in Detroit. Local politicians bought union support with generous labor agreements. Pensions were sweetened retroactively. In good investment years, retirement funds issued bonus checks. Until two years ago public-safety officers didn't have to pay a penny to their pensions and could retire at 55 with roughly 85% of their salary, a 2.25% annual cost-of-living increase and nearly free health benefits. While the average pension is $30,000 for public safety and $19,000 for other municipal workers, these figures are skewed by workers who retire early with reduced benefits or on disability. A quarter of retired officers receive disability pensions, which pay two-thirds of salary. Fifty-four retirees are under the age of 20 and earn pensions that average $23,300, according to a 2011 actuarial report. The actuaries mention as a footnote that the retirement tables "may include records with defective birth dates." Detroit's pension funds, like most of its municipal agencies, keep sloppy records. About 70% of the city's financial journal entries are booked manually. Misrule has resulted in the nation's highest violent crime rate, worst schools, blight and corruption. A former mayor, city treasurer and several pension-fund trustees were recently indicted for corruption. The general counsel for the pension funds this year was charged with securing kickbacks for trustees, including a $5,000 check presented as a birthday gift at a soiree, in return for a nice raise. While local politicians and union chiefs got richer, the city became poorer. Businesses and middle-class families have fled, sapping the city of revenues and economic vitality. About a third of residents live below the poverty line. To make up for lower property and income-tax collections, the state has increased its revenue-sharing with Detroit and allowed it to raise tax rates higher than any other city in Michigan. Detroit collects 50% more tax revenue per capita than Dearborn and receives four times as much money from the state. 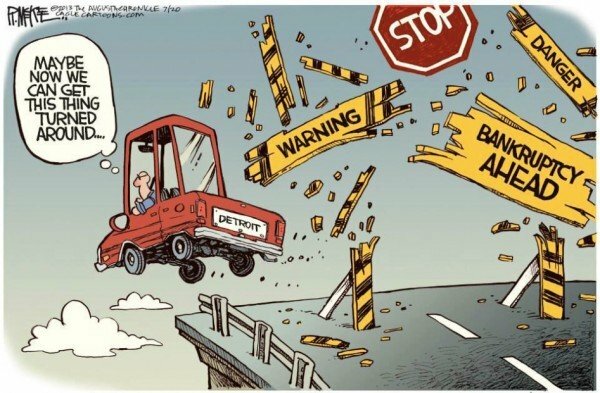 In one sense, Detroit has already received a rolling bailout that it squandered. Last year the city received $228 million in federal grants and $137 million from the state. It has also borrowed $1.6 billion to finance pensions over the last decade. Under emergency manager Kevyn Orr's restructuring plan, the capital market creditors who bailed out the unions would be repaid pennies on the dollar. That should teach investors a lesson about enabling deadbeat cities. Mr. Orr has also proposed slashing unfunded retirement liabilities by 90% and dropping retirees onto Medicare and the ObamaCare exchanges—thus kicking $5.7 billion in liabilities to national taxpayers. He also wants to shift workers to defined-contribution plans, which is what state workers receive. Unions protest that it's unfair to put pensions under the knife in bankruptcy since pay and other benefits have already been nipped at the bargaining table. But these concessions were cosmetic: a 10% wage cut, reduction in vacation accruals, a pension cost-of-living freeze and elimination of retiree dental care and future sick pay. In any event, retirees aren't about to be thrown out on the crime-ridden streets. The city's pension funds are between 60% to 85% funded depending on the actuarial assumptions, and Mr. Orr's proposed haircut would affect only the unfunded portion, meaning most accrued benefits will be protected. For decades the city has turned to taxpayers and capital markets to finance worker pensions, but both are tapped out. So finally workers and retirees will have to pay. There's no such thing as a free pension. Unions say it's not fair for the city to break promises to workers, though it long ago abrogated its social contract with local taxpayers to protect their safety and provide basic public services. 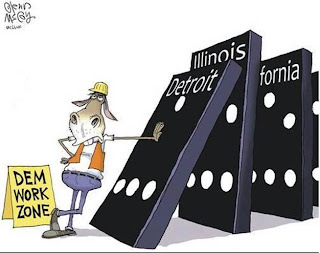 What would really be unfair is to make taxpayers in cities like San Jose, California, and Providence, Rhode Island, which have scaled back current worker pensions to avert bankruptcy, pay for Detroit's recklessness. As history shows, sending more cash to Detroit won't fix its breakdown in self-government. Another bailout would merely support its toxic political culture of neglect and corruption. It is distressing to see the disingenuousness of the Democrat Party leadership nationally and in Florida. Stoking the fires of racial division has been a favorite past time for liberals and Democrat for years. But the way they have mainstreamed this divisiveness is setting up the nation for continual backwards movement in race relations. Alas, and too unknown, this really has been the Democrat Party standard for nearly 200 years. Republicans need to be armed and respond for the good of the country. As a brief history lesson, the Republican Party was born to represent the anti-slavery sentiments before the Civil War. It was the abolitionist party. The Democrat Party was the slavery party and has fought equitable race relations ever since. Segregation in the South was perpetuated and defended completely by Democrats. It was a Republican president that sent in the National Guard to enforce integration in Arkansas. It was Republicans who pushed for the Civil Rights legislation of the 1950s and 60s and voted for it in far greater percentages than Democrats. It was Democrats who created affirmative action, quotas and set-asides all based on race. Republicans have always held the vision that blacks should be just like all other Americans, free to rise and fall on their own efforts, integrated into the great melting pot that has been America — at least until Democrats began Balkanizing it by melatonin and special interests. Democrats want blacks to remember they are blacks and they are being held down by the white man — not the Democrat white man, of course — and that they need help from white Democrats. Forever. Just enough handouts to keep them coming back, but never free. The great lie is that Democrats are painted as fighting for African-Americans when every program and speech they give serves to keep American blacks down and poor and reliant on the magnanimous hand of government. Detroit, ruled by Democrats for half a century, is probably the best example of this. It becomes easy to understand why blacks who have escaped the keep-them-down Democrat mentality have come to calling it the “Democrat Plantation.” Democrats make blacks beholden to them and ask for unswerving loyalty in return. 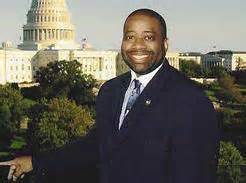 But more and more high-profile blacks are seeing the lie and turning to the party of freedom, such as Supreme Court Justice Clarence Thomas; neurosurgeon Dr. Ben Carson; Professor Thomas Sowell; Professor Shelby Steele; Professor Walter Williams; Herman Cain; Dr. Condoleezza Rice and Dr. Ward Connerly, to name a few. It’s been well pointed out, but it is so factually, blatantly true: If the Democrats and their race hucksters were really interested in young black men, they would be working overtime to diminish the black on black crime that is epidemic in our major cities, and completely re-hauling the utter failure of inner-city schooling. But they do nothing except push the same, intellectually bankrupt ideas that have fed the crime wave. Basically, they only care if there is a racial component. And black on black doesn’t have one. With statistics slapping them in the face, the division now has pivoted to eliminating Florida’s Stand Your Ground law. This has one purpose —to keep the racial division whipped up. Because it certainly is not to benefit blacks in Florida as, again, the facts are not aligned with their actions. Black Floridians have made about a third of the state’s total “Stand Your Ground” claims in homicide cases, a rate nearly double the black percentage of Florida’s population. The majority of those claims have been successful, a success rate that exceeds that for Florida whites, according to a Daily Caller analysis of a database maintained by the Tampa Bay Times. Further, the majority of victims in Florida “Stand Your Ground” cases have been white. Clearly, factually, blacks have benefitted more form the Stand Your Ground law than whites. So do Democrats really want to help blacks? The facts say “no.” But they do want to continue fanning racial divisiveness. Republicans offer a clear alternative on this critical issue. It needs to be articulated by all of us. Black leaders weren't so much outraged at injustice as they were by the disregard of their own authority. The verdict that declared George Zimmerman not guilty of murdering Trayvon Martin was a traumatic event for America's civil-rights establishment, and for many black elites across the media, government and academia. When you have grown used to American institutions being so intimidated by the prospect of black wrath that they invent mushy ideas like "diversity" and "inclusiveness" simply to escape that wrath, then the crisp reading of the law that the Zimmerman jury displayed comes as a shock. On television in recent weeks you could see black leaders from every background congealing into a chorus of umbrage and complaint. But they weren't so much outraged at a horrible injustice as they were affronted by the disregard of their own authority. The jury effectively said to them, "You won't call the tune here. We will work within the law." Today's black leadership pretty much lives off the fumes of moral authority that linger from its glory days in the 1950s and '60s. The Zimmerman verdict lets us see this and feel a little embarrassed for them. Consider the pathos of a leadership that once transformed the nation now lusting for the conviction of the contrite and mortified George Zimmerman, as if a stint in prison for him would somehow assure more peace and security for black teenagers everywhere. This, despite the fact that nearly one black teenager a day is shot dead on the South Side of Chicago—to name only one city—by another black teenager. This would not be the first time that a movement begun in profound moral clarity, and that achieved greatness, waned away into a parody of itself—not because it was wrong but because it was successful. Today's civil-rights leaders have missed the obvious: The success of their forbearers in achieving social transformation denied to them the heroism that was inescapable for a Martin Luther King Jr. or a James Farmer or a Nelson Mandela. Jesse Jackson and Al Sharpton cannot write a timeless letter to us from a Birmingham jail or walk, as John Lewis did in 1965, across the Edmund Pettus Bridge in Selma, Ala., into a maelstrom of police dogs and billy clubs. That America is no longer here (which is not to say that every trace of it is gone). The Revs. Jackson and Sharpton have been consigned to a hard fate: They can never be more than redundancies, echoes of the great men they emulate because America has changed. Hard to be a King or Mandela today when your monstrous enemy is no more than the cherubic George Zimmerman. Why did the civil-rights leadership use its greatly depleted moral authority to support Trayvon Martin? This young man was, after all, no Rosa Parks—a figure of indisputable human dignity set upon by the rank evil of white supremacy. Trayvon threw the first punch and then continued pummeling the much smaller Zimmerman. Yes, Trayvon was a kid, but he was also something of a menace. The larger tragedy is that his death will come to very little. There was no important principle or coherent protest implied in that first nose-breaking punch. It was just dumb bravado, a tough-guy punch. The civil-rights leadership rallied to Trayvon's cause (and not to the cause of those hundreds of black kids slain in America's inner cities this very year) to keep alive a certain cultural "truth" that is the sole source of the leadership's dwindling power. Put bluntly, this leadership rather easily tolerates black kids killing other black kids. But it cannot abide a white person (and Mr. Zimmerman, with his Hispanic background, was pushed into a white identity by the media over his objections) getting away with killing a black person without undermining the leadership's very reason for being. The purpose of today's civil-rights establishment is not to seek justice, but to seek power for blacks in American life based on the presumption that they are still, in a thousand subtle ways, victimized by white racism. This idea of victimization is an example of what I call a "poetic truth." Like poetic license, it bends the actual truth in order to put forward a larger and more essential truth—one that, of course, serves one's cause. Poetic truths succeed by casting themselves as perfectly obvious: "America is a racist nation"; "the immigration debate is driven by racism"; "Zimmerman racially stereotyped Trayvon." And we say, "Yes, of course," lest we seem to be racist. Poetic truths work by moral intimidation, not reason. In the Zimmerman/Martin case the civil-rights establishment is fighting for the poetic truth that white animus toward blacks is still such that a black teenager—Skittles and ice tea in hand—can be shot dead simply for walking home. But actually this establishment is fighting to maintain its authority to wield poetic truth—the authority to tell the larger society how it must think about blacks, how it must respond to them, what it owes them and, then, to brook no argument. The Zimmerman/Martin tragedy has been explosive because it triggered a fight over authority. Who gets to say what things mean—the supporters of George Zimmerman, who say he acted in self-defense, or the civil-rights establishment that says he profiled and murdered a black child? Here we are. And where is the authority to resolve this? The six-person Florida jury, looking carefully at the evidence, decided that Mr. Zimmerman pulled the trigger in self-defense and not in a fury of racial hatred. And here, precisely at the point of this verdict, is where all of America begins to see this hollowed-out civil-rights establishment slip into pathos. Almost everyone saw this verdict coming. It is impossible to see how this jury could have applied the actual law to this body of evidence and come up with a different conclusion. The civil-rights establishment's mistake was to get ahead of itself, to be seduced by its own poetic truth even when there was no evidence to support it. And even now its leaders call for a Justice Department investigation, and they long for civil lawsuits to be filed—hoping against hope that some leaf of actual racial victimization will be turned over for all to see. This is how a once-great social movement looks when it becomes infested with obsolescence. One wants to scream at all those outraged at the Zimmerman verdict: Where is your outrage over the collapse of the black family? Today's civil-rights leaders swat at mosquitoes like Zimmerman when they have gorillas on their back. Seventy-three percent of all black children are born without fathers married to their mothers. And you want to bring the nation to a standstill over George Zimmerman? There are vast career opportunities, money and political power to be gleaned from the specter of Mr. Zimmerman as a racial profiler/murderer; but there is only hard and selfless work to be done in tackling an illegitimacy rate that threatens to consign blacks to something like permanent inferiority. If there is anything good to be drawn from the Zimmerman/Martin tragedy, it is only the further revelation of the corruption and irrelevance of today's civil-rights leadership. In the 2008 presidential election, Blacks were the largest voting bloc for Obama (as a percentage)—96 percent. In 2012, Obama received 93 percent of the Black vote, again the largest percentage of any voting bloc. What type of return on their votes has the Black community received? Zero. They have received lectures, been talked down to, and, more often, totally ignored. Notice that only Hispanics were in this meeting and the purpose was to discuss an issue that is of particular importance to only them (though other groups that support amnesty would also benefit if amnesty were made into law). So, if that be true, can someone explain to me why there were no Blacks, Asians, Africans or Indians in the meeting with the Congressional Hispanic Caucus? They are Americans. They have members from their community that have a great interest in immigration policy. They have members of congress from these various ethnic groups. Let’s compare the White House’s official readout from the meeting with the Congressional Black Caucus from 2010, 2011, and 2013. Notice that there is always at least a year in between meetings with the Black Caucus, but he meets with Hispanics and homosexuals on a regular basis. Every time Obama meets with homosexuals or Hispanics, it’s always to discuss specific legislation of interest to them, not to have some broad, free-wheeling conversation. You can even see the lack of importance of the Black Caucus by just noticing how the respective meetings are characterized by the White House. I have absolutely no idea what this means. She is talking, but not saying anything. Obama has had his perfunctory meeting with the CBC; now he can get back to ignoring them and passing out goodies to every other special interest (Hispanics, homosexuals, labor, White males. As Politico, characterized Obama’s reaction to the recent Supreme Court decision on the Voting Rights Act. The title was, “President Obama’s muted response to a civil rights challenge.” The article goes on to say, “Even a Supreme Court decision knocking out a central element of a landmark civil rights law couldn’t push President Barack Obama to abandon his muted approach to racial issues. The court’s 5-4 recent ruling torpedoing a core provision of the Voting Rights Act led the first black president to issue a tepid, two-paragraph written statement referencing “discrimination” and declaring that he was “deeply disappointed,” but never invoking the vivid and searing dogs-and-firehoses imagery that spurred the passage of the law in 1965. He made no mention of African Americans or Latinos, the groups viewed as the act’s main beneficiaries, but simply called for making voting “fair” and ensuring it was open to all. Raynard Jackson is president & CEO of Raynard Jackson & Associates, LLC., a Washington, D.C.-based public relations/government affairs firm. WASHINGTON (NNPA) – The Black unemployment rate rose to 13.7 percent in June, up from 13.5 percent in May as the economy added 195,000 jobs, exceeding most expectations. The unemployment rate for Whites barely improved to 6.6 percent in June from 6.7 percent in May. After falling for four straight months, the unemployment rate for Black women, 20 years and over, rose sharply to 12 percent in June from 11.2 percent in May. The jobless rate for White women also increased to 6 percent in June from 5.8 percent in May. The jobless rate for Black men over 20 years of age, fell to 13 percent in June from 13.5 percent in May. The unemployment rate for White men fell to 6.2 percent in June from 6.4 percent mark set in May. The unemployment rate for Black teens (16 to 19 years-old) rose to 43.6 percent in June and the unemployment rate for White teens dipped to 20.4 percent. The Federal government shed 5,000 jobs in June, continuing a 12-month trend that disproportionately affects Blacks, because of the rate of employment for Blacks in the public sector tends to be higher than in the private sector. Despite beating most expectations for job creation in June, researchers at the Economic Policy Institute (EPI), a non-partisan think tank focused on the economic policy needs of low- and middle-income workers, say that the job growth is not nearly enough to have a significant impact on the national unemployment rate. Heidi Shierholz, an economist for the EPI, wrote in a recent post on EPI’s website that even if the economy had grown by 340,000 jobs per month, it would still take 2.5 years to close the gap in the labor market. More than 2.5 million Blacks are unemployed, according to the Labor Department’s latest jobs report, and the Obama administration’s lack of focus on the Black unemployment rate has drawn the criticism of Black leaders. The 13.7 Black unemployment rate is higher now than when President Obama took the oath of office in January 2009. NBRA EDITOR’S NOTE: When President Barack Obama took office, the black unemployment rate was 12.7 percent. The number of households below the poverty line is increasing, and we are still missing about 2.6 million jobs compared to the employment levels of January 2008. 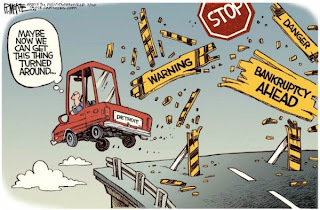 By taxing the "rich," placing health care under federal oversight with ObamaCare and spending $1 trillion on "stimulus," Obama has produced the worst recovery on record.